I was raised on a farm in Southern Illinois. At age 10, my parents purchased a neighborhood grocery store. I was in charge of selling candy to the kids, helping them choose which candy to buy. After my mom died when I was 18, I helped my dad run the store. This was good training for managing my money and helping people–which I love to do. My love for helping people carries over into real estate. I want the people that I have worked with to feel that I had their best interest at heart and did a good job. I have worked in real estate for 32 years. Sixteen of those years I have been with Century 21 in Pismo Beach and Arroyo Grande. Real estate sales is an interesting job because you meet so many people, and everyone is unique. I really enjoy what I do! 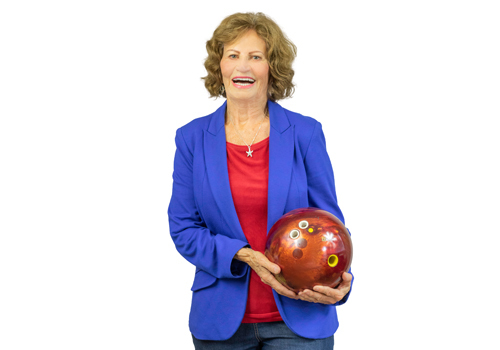 I love bowling and have won many awards! I also enjoy spending time with my family and friends: dancing, hiking, and eating dinner.